That’s the magic of decorating and design. Through interior decorating, you have the ability to transform your environment and transport yourself to any location in the world. In so doing, not only do your surroundings transform, but your state of mind transforms as well. 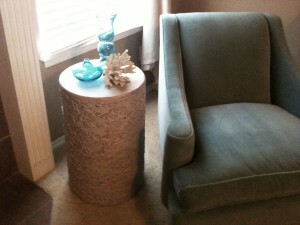 Just for fun, Reesa snapped a photo of the “temporary” home of the Mélange table here in her living room. That’s the beauty of great furniture, it can transform any room. 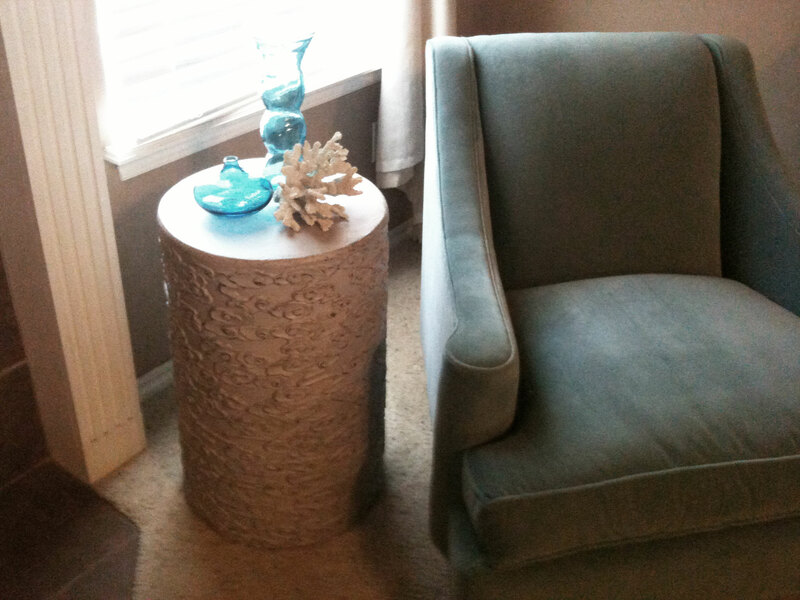 The right pieces bring a unique personality to the home they furnish. If you want to feel like you live in a beach cabana or a mountain cabin, getting the right furniture is the first step. You certainly have an articulate way of expressing how furniture can transform any room…and the beauty of that is that the right room can transform our outlook!